Michael Cohen's attorney admitted he could not back up comments he made to media outlets about his client's claim then-presidential candidate Donald Trump knew in advance about his son's meeting with a Russian attorney. During the 2016 campaign, Donald Trump Jr., Jared Kushner, and Trump campaign chairman Paul Manafort met with Natalia Veselnitskaya, a Russian lawyer with extensive ties to the Kremlin. After the sit-down came to light, Trump insisted his son never informed him of the Trump Tower meeting and that he learned about it from media reports. In July, CNN published a bombshell report claiming that Cohen, Trump's former attorney and longtime fixer, was prepared to tell special counsel Robert Mueller that he was in the room when Trump was informed of the meeting beforehand. The Washington Post reported much the same the following day. Both stories cited anonymous sources close to Cohen. But a month later, the Post now reports the source for their story was Cohen's attorney Lanny Davis, and that Davis said in an interview he could not stand by his earlier comments. "The information in the Post story, which was attributed to one person familiar with discussions among Cohen’s friends, came from Davis, who is now acknowledging his role on the record," the Post reported. "Davis said he should not have expressed such confidence in his information." "I should have been more clear — including with you — that I could not independently confirm what happened," Davis told the Post. "I regret my error." 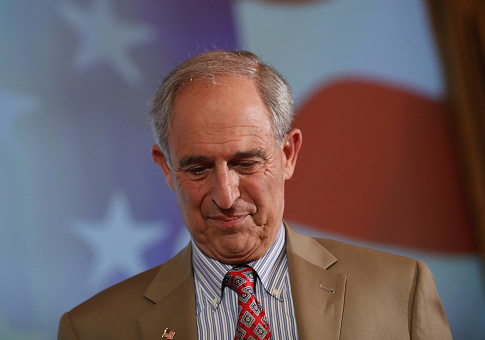 Editor’s Note: For this story, Lanny Davis, an attorney for Michael Cohen, provided information as an unnamed source, saying Cohen told associates he had witnessed a 2016 exchange in which Donald Trump Jr. informed his father that he expected to receive damaging information about Hillary Clinton. On Aug. 26, Davis agreed to reveal his identity as the source of that information and said he is no longer confident that it is true. CNN's original story has not been updated, and the network released a statement, relayed on Twitter by its reporter Brian Stelter, saying "We stand by our story, and are confident in our reporting of it." This entry was posted in Politics and tagged CNN, Michael Cohen, Washington Post. Bookmark the permalink.